We all know what untidy, illegible handwriting looks like. 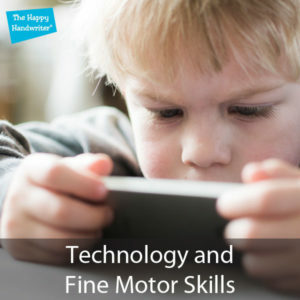 The quality of fine motor skills and pencil control are on the decline in our techno age where pre-schoolers are pointing and swiping, rather than engaging in the manipulative skills required for developing the hand muscles essential for controlling a pencil. What is the best approach for teaching handwriting in South Africa? 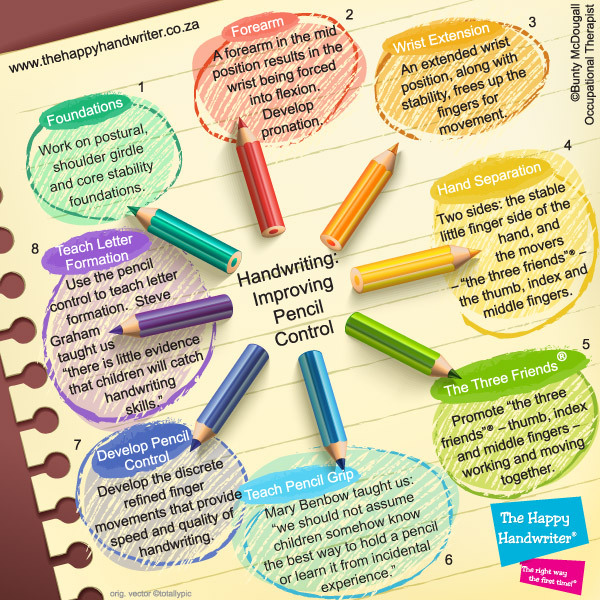 Occupational Therapist, Bunty McDougall, from The Happy Handwriter has laid out 8 steps to follow for developing pencil control for handwriting. We know that in order to achieve controlled and refined hand function, we need trunk stability and postural control to be well-developed. Way back when I was a new occupational therapist, I was always told: “if you work on the gross motor, the fine motor will come right by itself.” However, I no longer believe this to be true at all. While this is a critical foundation, we need to work through the different foundationional areas in order to achieve good pencil control. We need to work from the trunk, to the shoulder girdle, down the arm and to the hand itself. If motor development has been blocked at some level, it is not enough to just work on core stability. Compensations for a lack of core stability are going to prevent the natural unfolding of the development to refined fine motor skills. This means that certain muscles on the way are not performing the supporting and movement functions that they should, because they never had the chance to develop. We need to ensure we develop all these muscles and movement patterns to achieve good pencil control for handwriting. To achieve good pencil control for handwriting, we need the forearm to assume the functional forearm position. Children with low muscle tone have the tendency to hold their forearm in the mid-position. This would be the forearm in a position where the thumb would point directly to the ceiling. 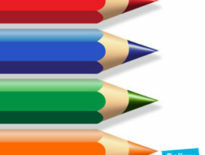 As soon as a child uses this mid position, they are going to experience difficulties connecting the tip of the pencil with the page. They usually compensate for this by assuming a flexed or bent position of their wrist. And this is not a good thing! A bent or flexed wrist is going to block off the development of the discrete refined finger movements required for handwriting because of the anatomical structure of the muscle tendons. You can read below why the wrist position is so critical. And that critical wrist position cannot be assumed if the forearm is not held in the functional position. They are linked. Assuming the “hooked” or bent position of the wrist is not an acceptable wrist position for handwriting for either right or left-handers. Watch below to find out how wrist position impacts on the development of pencil control for handwriting and commit yourself to developing the wrist extensor muscles in your children to support the refined pencil control they need for handwriting. When it comes to exercises for handwriting improvement, the wrist position cannot, and must not, be forgotten. The hand can be divided into two halves: the little finger side of the hand which is made up of the 4th and 5th fingers – or the tuck-down-two® as we call them at The Happy Handwriter; and the thumb side of the hand including the thumb, index and middle fingers which we call the-three-friends®. The tuck-down-two provide a point of stability from which the-three-friends can work and move. The-three-friends are the fingers which manipulate and control the pencil. They are responsible for pencil control for handwriting. And so it makes sense, that in working on developing pencil control, we need these fingers to work together in refined manipulative activities that are going to promote them working and moving together and include them in finger exercises for handwriting. Children need to be taught pencil grip. But there is one cautionary note here: we need to teach it in the correct developmental sequence. When a child picks up the pencil with the baby grasp, we must not immediately correct that grasp the the mature grasp. There are developmental stages to the development of pencil grip, and our children need to work sequentially through those stages to develop the muscles for the mature stage of pencil grip. The CAPS Handwriting Curriculum mentions over and over again that pencil grip should be correct, and when it comes to teaching handwriting in South Africa, this must not be forgotten. I always say that they should have called it finger writing and not handwriting. It is the discrete, refined finger movements that occur independently of hand movement that are responsible for pencil control for handwriting. We need to specifically build in these movements to ensure our children can manipulate their pencils efficiently for handwriting. Steve Graham has shown us through his research, that “there is little evidence that children will catch handwriting skills.” Handwriting skills are not like the flu! If your our child spends some time in the presence of those mean little viruses with absolutely no intent, the next thing we know it, they too have the flu. Handwriting needs to be explicitly taught. There is little doubt that it is far easier to lay down handwriting patterns the right way the first time®, than to battle with bad handwriting patterns that have become hardwired. 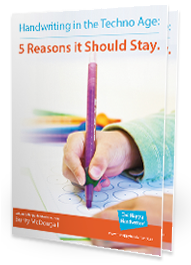 When improving handwriting in kids, it is in fact, the handwriting teaching strategies that are applied at the start that are critical. When it comes to teaching handwriting in South Africa, where many of our children are battling with basic skills in the foundation phase, research has shown us that mastery of early handwriting skills results in improved reading and maths in Grade 2. 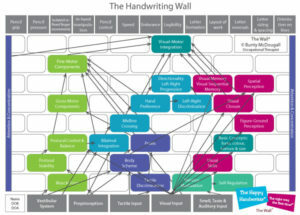 So it is critical that our children to learn handwriting, not re-learn handwriting. The CAPS Curriculum for teaching handwriting in the foundation phase in South Africa, may be found here. Want to work on these muscle groups? If your child is still young and yet to master cutting, this is one of the critical foundational skills on which to focus. To develop these skills, take a look at Learn to Cut which will guide you through this process. For children who have already mastered cutting , take a look at the Fine Motor Fun kit which is a kit of specifically designed and selected activities to focus on each of these components we have focused on above.